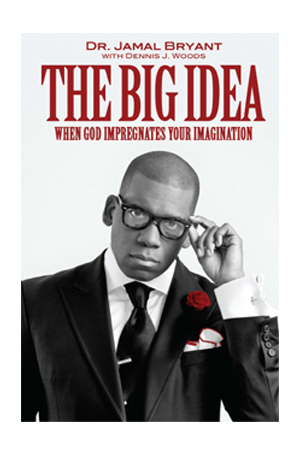 Dr. Jamal H. Bryant’s The Big Idea, When God Impregnates Your Imagination, co-authored by Dr. Dennis J. Woods, is a thought-provoking examination of how God uses our imagination and dreams to reveal His plan for our lives. Although dreams often have no impact on reality, some dreams are God-given and impregnated with seeds of destiny. In this groundbreaking book, Dr. Bryant analyzes imagination and dreams from both biblical and scientific perspectives. Everything that God does is big and everything He blesses is abundant and overflowing. Some of the greatest ideas and advancements in the world were God-given and birthed from the heart of a dreamer. No matter what sector of society you are from, or what your social-economic status is, if you can imagine the miraculous the next “big idea” is only a dream away.